I am requesting your attention and responsive dialogue-addressing these issues during the meeting with our outside mediation team- and with Arturo Castellanos, George Franco, James Williamson, and myself in the near future… The following is from me. C) Our Primary Goal has always been, and remains, …Ending Longterm Indefinite- SHU/Ad-Seg confinement! D) With our primary goal in mind -”Ending Indefinite SHU” policy- any policy/practice that enables such to continue is not acceptable, thus, while CDCR has been somewhat responsive to some of our demands re: SHU/Ad-Seg program/privilege issues- most of us in SHU for decades already,… remain here indefinitely! The point is, no matter how you dress it up- spending 24/7 in a small cell for months, years, decades- without normal human contact- especially, the contact of physically touching one’s outside loved ones… equals a form of torturous social extermination- period!! 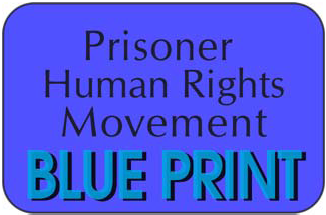 E) A major aspect of our collective movement to meaningfully reform this prison system in ways beneficial to prisoners, staff, outside loved ones, and society in general, is related to the system’s rank and file treating prisoners and our outside loved ones humanely- as fellow human beings, with dignity and respect. I’m not sure how many of you current administrators were in the loop during our discussions about SHU policy change(s) in 2011-2012, …but we pointed out that “CDCR leadership knows how to create a reform policy- intended to be successful or, – one intended to fail.” …As summarized below, the current structure and implementation of the STG-SDP appears to be intended to fail- this will not bode well for CDCR! Like it or not, you need prisoners cooperation, support, and participation with any policy affecting thousands, or your policy fails! (b) Steps 3 and 4 at CCI-Tehachapi, are seen as a bad-step down re: conditions, programming and privileges- to the extent that many prisoners see no point in participating! Examples are: visits are limited to (1) hour, on either Sat. or Sun. ; cells are dirty and cleaning materials are not being provided; nor is laundry, clothing, linen, etc, being provided/exchanged; the T.V. and radio stations are very limited and out of signal all the time; the food is bad; shower program is poorly run- as is yard program; property is processed very slowly, and typewriters are not being allowed, etc.,etc.,etc; Staff attitudes are poor!! You have ability to remedy the above, via use of former PSU [at PBSP] cell block(s) for Steps 3 and 4… These steps should also allow contact visits!! A Step 3 and 4 at PBSP should be an option for those with local family ties, etc!! (c) The journals remain a problem for many (e.g. Corcoran) and I will point out that George Guirbino, et al, admitted at one of our meetings last year, that the journals were ‘lacking re:substantive rehab, value’ -qualifying this with- “but that’s all that’s available.” Look, we all know the journals have zero relevance to rehabilitation of prisoners transitioning between SHU and G.P. (demonstrated by the fact that prisoners placed on Step 5 by DRB’s case-by-case reviews of longterm SHU prisoners don’t have to do a single journal!!) You should make the journals a voluntary self-help program available to all CDCR prisoners… The way you’re using them as required part of SDP- Steps1-4, makes you all look bad- for many reasons!! (d) The case by case reviews at PBSP are too slow-100’s still wait on theirs. Your attention and anticipated positive responsive resolution(s) to the above subjects is appreciated. 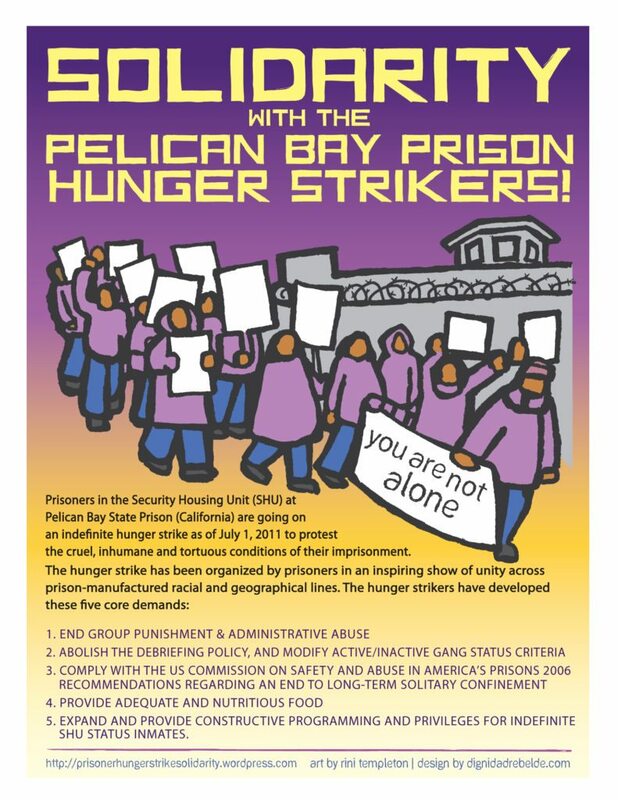 This entry was posted in From Inside Prison, Press Release and tagged Ad-Seg, behavior-based, CCI-Tehachapi, CDCR, contact visits, Corcoran SHU, family members, five core demands, gang validation, general population, humane treatment, hunger strike, indefinite SHU term, long-term solitary confinement, peaceful protest, Pelican Bay State Prison, Secretary Jeffrey Beard, Security Housing Unit, Security Threat Group, Step Down Program, Todd Ashker, torture. Bookmark the permalink. We at Free Alabama Movement & Free Mississippi Movement UNITED are very interested in the struggle being put forth by the men (and women) in California against the oppression and we would like to connect with reps to see where we can join forces and collaborate our efforts. Our strategies center around organizing protracted work stoppages in multiple prisons, in multiple states, to stop the economic exploitation of the incarcerated. Please view our free book on our website, and view of YouTube channel (Free Alabama Movement), and use our email address to contact us. The way to stop this machine that is devouring so many lives is to stop their lifeline, which is the free prison labor that they are using to fund mass incarceration. We hope to hear back from you soon. Brothers & Sisters in the struggle.